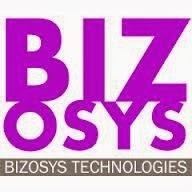 Bizosys is a Bangalore based custom software development service provider. Bizosys builds new Mobile Apps for native and HTML5, Web Apps using HTML, Flex, Java; Big Data and Search apps with hands on expertise in Hadoop and other No SQL technologies. Bizosys differentiators are its quality backed by 12 month warranty and speed of execution. These are driven by its modular architectural approach and own background IP available as common pre-built services. Bizosys also works to enhance existing systems and apps. Overall, Bizosys works end to end from development to operations in a live environment – on Cloud or on premise, to Discover, Design, Develop followed by Deploy, Monitor and Manage. Bizosys is seeking a Developer to join our big data team. Individuals in this role are expected to be comfortable working as a software engineer. The ideal candidate will have a keen interest in solving new problems in the evolving space of big data. Work closely with the experienced team to identify and develop product, comfortable to implement Bizosys frameworks and products for various customers. Candidate’s branches Mechanical, Chemical etc. are encouraged to apply as the selection process will evaluate your algorithmic and logical reasoning (and not ability to do programming).